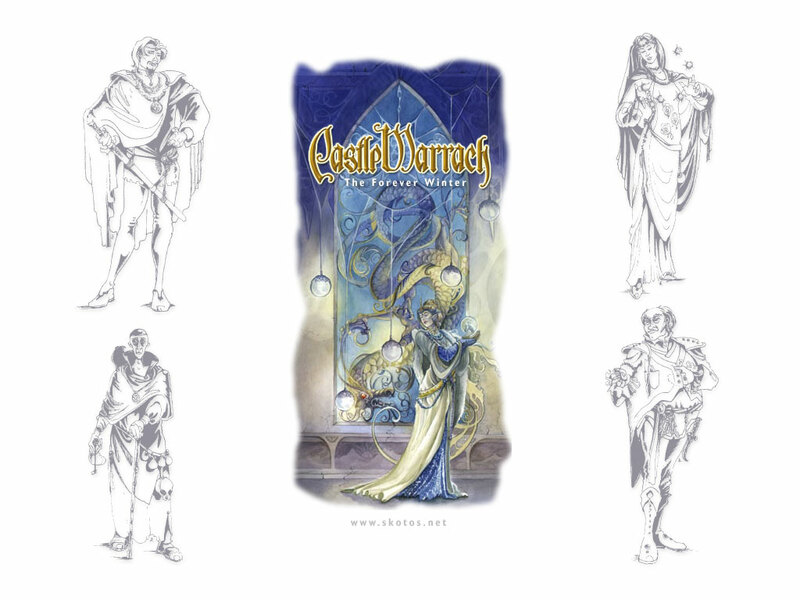 Below are some of the graphic images which have been created for Castle Marrach that you can add to your website or use for wallpaper. We have wallpapers for our other games here. 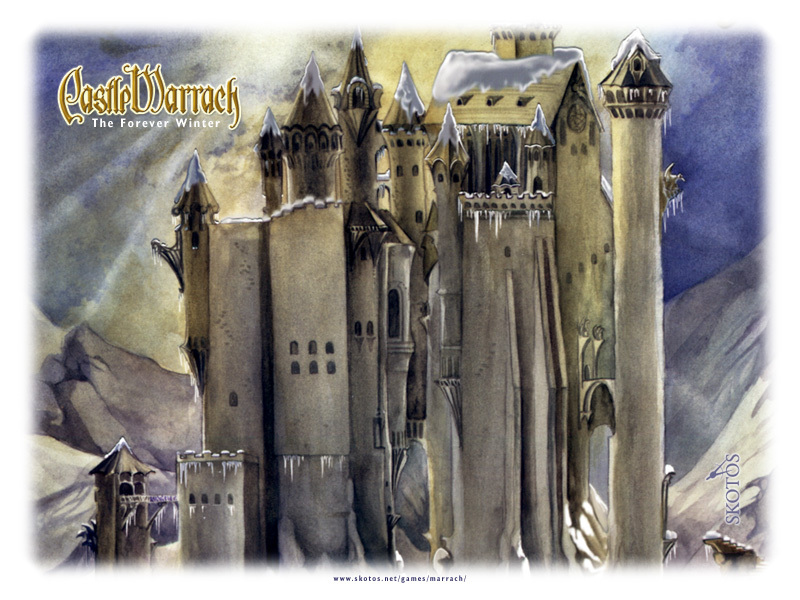 The majority of the artwork for Castle Marrach is by the talented Stephanie Pui-Mun Law. Lisa Eichler created the logo and FreeFrog Designs creates our various graphic elements based on both artists work. Michael Blum, of Skotos, is responsible for the many maps in Marrach  including the in-game client. Castle Marrach, The Forever Winter, and Skotos Tech are trademark 2002 Skotos Tech Inc., used here with permission. All images and text from the Castle Marrach website or game are copyright © 2002 Skotos Tech Inc.